Patricia Berger, president and CEO of the United Way of Grand Forks, and Area, Inc. contributed to a Facebook post written by longtime TV personality and former WDAZ journalist and anchor Terry Dullum after Forum Communications Company slipped the rug out from the Grand Forks television news station on November 30, 2018. Among the 575 reactions, 286 comments, and 282 shares, Berger shared her frustration with the city losing its last television news stations. Hundreds of others echoed her sentiments, but sponsors of the United Way caught Berger’s words, which are still visible on Facebook today. 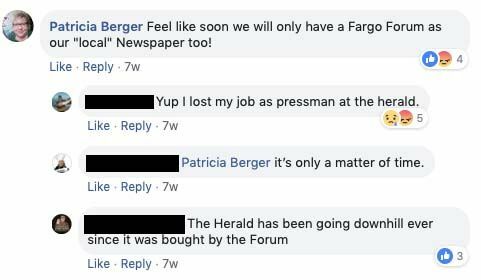 Korrie Wenzel, publisher of the Grand Forks Herald, also owned by Forum Communications Company, first affirmed with Berger that she was CEO of the United Way, then ran an editorial on December 6 criticizing her. “Oh, for heaven’s sake,” Wenzel wrote in the editorial. 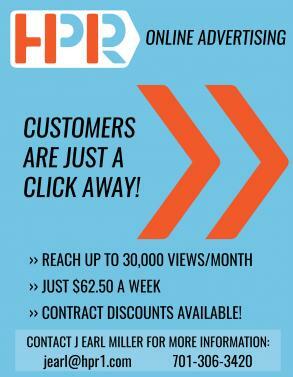 “The contributions of this company to the Grand Forks United Way – literally thousands upon thousands of dollars each year in cash and nearly the same again in free advertising – have been great, portraying in just one way how much this company cares about Grand Forks and the northern valley. Four days before Christmas Berger was given notification by United Way of Grand Forks Chairperson of the Board of Directors Nikki Jackman that she was under investigation, and had five minute to gather her possessions before being “unceremoniously escorted out of her office,” according to paperwork. She was put on administrative leave with pay until further notice. After being led from the building, Berger called her husband, she said, and burst into tears on the phone. Berger then said she proceeded to throw up for 12 hours, and didn’t leave her house for two weeks. On January 21, Berger was placed on unpaid administrative leave. Berger was originally planning on retiring in June 2019, but also wanted to look at other areas she could continue working with the United Way, she said. Thompson, a former journalist in the USA and Canada, also said the Grand Forks Herald attack on Berger was ironic. Berger is unsure what she will do next, but has six years to decide whether to take her case to court. Thompson said a decision should be forthcoming within the next few months or year. “I think it’s happening,” Berger said. “I am able to hold my head up and talk about what happened to me. I think it’s horrible and I myself felt afraid to leave my house. Demoralized. I am able now to hold my head high and go forward. Her and her husband have thought about moving away, but she doesn’t want to be run out of town. “This whole thing I must admit frankly came as a complete shock to me,” Berger said. “I wanted to explain to my board how this came about, and this was not broadcast on the United Way’s Facebook page, it was a personal comment sticking up for the city I live in and love. My board said to me that all of that was irrelevant. In 1997, the United Way Worldwide recognized Berger, she said. Berger spent weeks down in North Carolina after a devastating hurricane. She has given speeches before thousands, and was originally hired as the president. 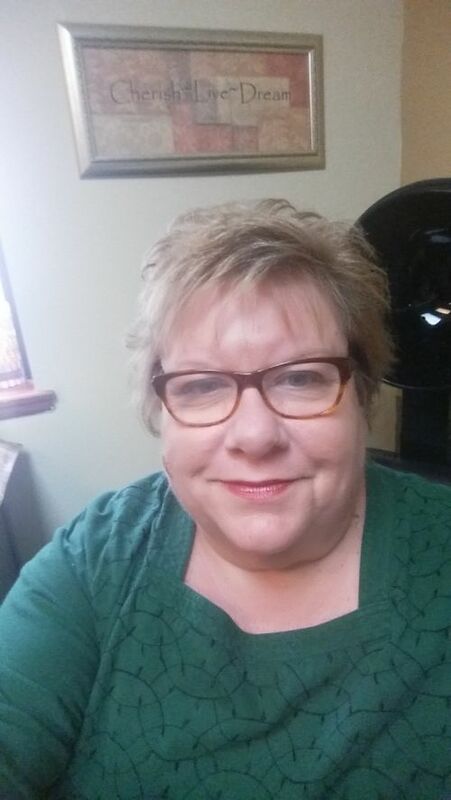 Before working for the United Way of Grand Forks she worked for Northwest Minnesota Initiative Fund, after leaving New York in 1990, and her job as a Chamber of Commerce executive in Ossining, New York, home of Sing Sing Correctional Facility. In response and after she was forced to leave, the United Way of Grand Forks board of directors provided a list of complaints against Berger. Berger has a response for each accusation, claiming the board never alerted her to some of the instances. In Korrie Wenzel’s editorial he claims that the Grand Forks Herald had contributed financially to the United Way of Grand Forks, and that because of the rise of digital media and the technological shift all newspapers have made during the past decade or more, including the shutdown or merger of WDAZ with WDAY, are necessary for many mainstream media outlets to survive. Forum Communications has been slowly chipping away at WDAZ programs, ending in what they announced as a news department merger with WDAY and cancellation of WDAZ’s 6 p.m. and 10 p.m. newscasts effective December 21, 2018. Locally, WDAZ at one time reached 82,000 households, but with its reach in Canada the station covered an addition 256,000 homes. Berger and Wenzell used to meet frequently, and at one time she asked him to join the board of directors, she said. She also worked on several occasions with reporters covering stories about poverty and homelessness in Grand Forks. Terry Dullum’s Facebook page is set so his personal friends can see and interact with his posts. As a well-known media personality, Dullum worked with Berger on projects such as Toys for Tots. Korrie Wenzel returned a telephone call saying that he preferred not to make a statement regarding the issue. When asked about a member of the media criticizing another’s right to free speech, he declined to answer. “I guess what I would say is this, I don’t want to comment because we are working on our coverage,” Wenzel said. Repeated calls were made to Nikki Jackson, the United Way of Grand Forks board chairperson, and to Elizabeth Alvine, of Vogel Law Firm who is representing the United Way of Grand Forks, but no emails or telephone calls were returned.